The Theology of Banning | "Northern Crossings"
It is axiomatic that in the present environment there will be calls for banning guns. Mass shootings bring out the gun banners and it is apodictic that the pro gun folks will list all the things that kill more people than guns and ask why those things are not banned? Knives for instance kill far more people, so in the “be careful what you wish for” category, hold onto your Bowie because it has started. 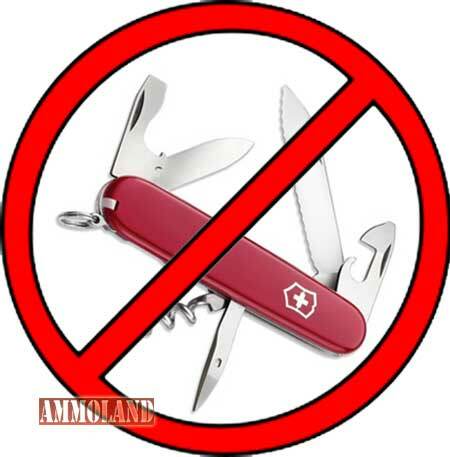 The mayor of London Sadiq Kahn called for strict, no-tolerance knife control laws, just like the gun control laws in London that have been in effect for years. The reason was that two teen agers were stabbed to death on the same day two other men were shot to death by those banned guns. Whenever someone shows the imbecility of banning things from law abiders, that law breakers by definition will go ahead and procure and use what is banned, the jeremiads begin and the litany of abuses begin. It might be more informative to look and see what is behind the need of some to ban stuff. It has been tried before. In the Bible we read about the people around the Israelites that sought to destroy or abuse them and one group was the Philistines. They seem to have learned the art of making iron and when they defeated the Israelites in battle they banned them from having any sharpened knives, spears etc. If they had hoes and axes and plowshares that needed to be sharpened they had to go to Philistine blacksmiths and were charged a pretty healthy sum. Now the law abiding average Israelite didn’t break the ban but Johnathan, David’s friend did and he stashed all kinds of swords and spears in caves until they got an army together and defeated the Philistines. So the ban did not work, it actually made the Philistines hated to the point that they could control nothing which was the point of the ban in the first place. Ban as a word comes out of the mists of time as a form of curse. When you banned someone from someplace or from doing something you exercised a form of control that showed that you had the power of God. When Moses told the people that he was setting before them a blessing or a curse he was serious. The recalcitrance of human beings who had God’s Law which was meant to constantly return people to God’s mercy becomes a curse when it is disconnected to the Creator and Savior God who instituted it. Apart from God’s mercy the Law becomes a system of do’s and do not’s, of blessings and curse, threats and promises. To those who don’t know God’s mercy the ban is in place and causes more rebellion. That is why there had to be a new commandment and a new way of life. in whom God Himself instructs the heart. The old found people saying’ Know the Lord” and people behaved as if they did not know Him. The new would comprise people who would already know God, “from the least to the greatest”. Those people need no ban because they fear, love and trust in God and care about their neighbors more than they care about themselves. They need no law. Those who don’t know God have no Law anyway. So the absurdity of banning knives that we joked about before is becoming real in certain places. Having to go to a certified place to have a ploughshare sharpened probably seemed ridiculous to an Israelite farmer but he did it out of fear. I am trying to imagine the absurdity of taking a steak to a government approved butcher to have it cut into pieces before you cook it because you cannot own a knife. Godlike qualities exhibited by anyone who isn’t God always result in absurdities.